Our guest today is Guru Prasad, a Chartered Accountant by profession. Guru is the founder of Guru & Jana, a CA Firm based in Bangalore, India. He has also authored a couple of books viz., “The God in the Boardroom” and “Banter Beyond the Buck”. In this podcast, Guru talks about what led him to the creation of his CA firm, how he turned the company around and developed an organisation that has a unique employee culture and philosophy. He also gives us a glimpse of the upheavals he faced in his life, the turning points in his life & career and gives insights and tips into how one can overcome challenges in one’s life, develop a steadfast mindset and move forward in life. 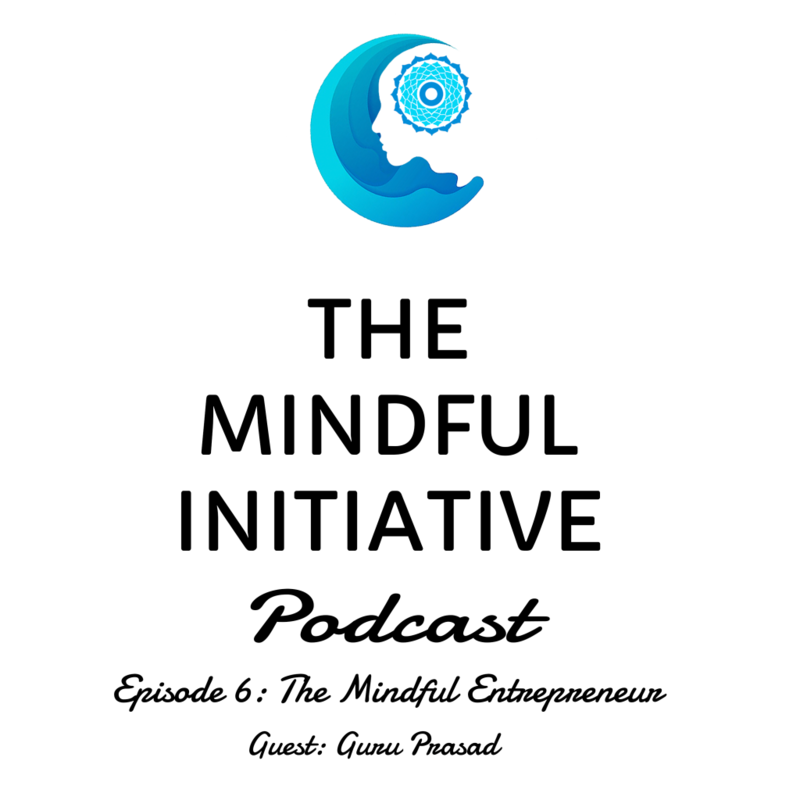 Nitesh Batra: Hello and welcome to another episode of The Mindful Initiative podcast. My name is Nitesh. Today we are very honored and privileged to have Guruprasad, who is the founder and partner at the Chartered Accountancy firm, Guru and Jana, which is located in Bangalore. Welcome, Guru. Guru: Thank you. Pleasure is mine. Nitesh Batra: When we interview someone for the podcast, I like to know a little bit about them, about their background, about their upbringing, and maybe about their spiritual beliefs as well. So, can you let us know a little bit about yourself? Guru: That’s a pretty big question to know a little, but nevertheless, it’s been a normal life. And trying to be as normal, as, normal is becoming very abnormal of late. So, ours was a fairly middle income group sort of a family, got educated, went to a local government college and there were no jobs those days in 1991 when I passed out as a Chartered Accountant. Hardly there was anything left for us. So had to travel to places like Guwahati, Calcutta, Kerala for jobs and then kept on prodding around what has to be done. Then joined another firm and was there for 7-8 years, but that was not my life. So, started Guru and Jana in 2003. When we started., we didn’t know where was our destination. But possibly the way the journey took us through, we went along with the flow. Nitesh Batra: And this is where you are today. Guru: Yes. We have reached some part of our journey. But it’s a nice journey. Nitesh Batra: So what attracted me when I heard you a few weeks back was how unique the organization was. And we’ll talk about that further in the interview. But I would like to go back a little in a distant memory and I believe that you used to smoke a lot? Is that correct? And then there was a person, Abdul, who was the auto rickshaw driver in your life who influenced you in many ways and has been sort of influential in, in at least changing your life in different ways. Right? So I would like to know about that story and how that has left a mark in your life. Guru: You guys know a lot! It’s been a fabulous thing that we had our Chartered Accountancy results and those were the days where there was no internet in the early ’90’s and the results were announced in the Times of India. So they used to read out the numbers. So the number used to be 20,003 and the next number would be 24,000. So 4,000 people in between have failed. And amidst that they called out my number and I had become an Accountant. So it was a very proud moment. And yes, I smoke a lot. The profession took me to some friends which enabled me to grasp all unwanted things at one point of life. And I lit my cigarette, just lit and an autorickshaw came and I went. And just before that, the auto guy was standing there and I was not sure of his name, but he saw me. Guru: People carried me. They told, “Guru pass ho gaya.” Guru is a Chartered Accountant and things like that. And he sat down in the auto and started. I told, “take me to my place”. He told in Hindi, “Badaa aadmi ban gaye aap”. So what it means is you have become a big guy. So I told yes, I have become a Chartered Accountant today. And I was still smoking my cigarette inside the auto and he immediately told.. I will tell in Hindi and then I will translate it for you. He immediately told, “Kya farq hai sahab? Hum beedi peetey hain aap cigrette peetey hain”. Translated, it means, “What’s the difference? I smoke a beedi (beedi is a small version of a local cigarette) and you guys smoke a cigarette. That’s the only difference.” I saw him in the eyes and looked at him and told him,”yeh farq hai”. Which means, “This is the difference”. And I just left the cigarette down in the auto itself and crushed it. Guru: “Main chhod sakta hun. Aap nahin”. Which means, “I can leave it. You can’t.” And that was my last puff in my life. After that, I have never smoked. After that, for many years, I kept in touch with this Abdul. We used to go to his family for Ramzan, give him gifts and after that he migrated to some Bellary region and there is no contact at all. Hope, someday he listens to this podcast and I’ll be able to wish him for some how instigating me to just drop this out. Like this, I had many, many such instances. It’s been such beautiful moments. Moments keep coming, but it’s for us. How do we take the moment? Everybody would have got the same Abdul. Nitesh Batra: I think we have many Abduls along the path, along the journey and it is up to us. And universe keeps giving us signals and when we listen to those signals, it takes it in beautiful directions. But an interesting thought that came to my mind when, when you were describing Abdul and what was happening is that it is the power of mind more than anything else, that you had the strong intent that I can do this if I put my intention, if I put my will towards whatever I would like to do. And how has that guided you in your life before and after this incident as well? Did you see yourself noticeably different? That yes, I decided to go for the Charter Accountancy exam, which is one of the most difficult things to pass even till date. It’s not that easy and even after that you went and worked. How has your mind played a role in becoming who you are as an individual? And maybe this may be a good time if you had any spiritual gurus, the ones that impacted you, especially your, your friend who has been part of your life for many years now. Guru: See, the spiritual guru part is a very important part. I’ll come to that. But I always felt that today it’s very easy for me to go back and tell this happened, that happened. It’s so nice I left smoking. My mind was so strong and things like that. But the amount of effort and energy we put in telling, let me build up my will. Let me do this, let me do that, and finally we don’t land up doing anything. So in many instances, the planning is becoming so much. Execution is a total failure. So that instance, if I go back and think now, has already kept one thing in clarity. Don’t do too much of planning. What has to happen, will happen. As long as your intentions are right, don’t keep on strategizing, don’t keep on planning. I sit in hundreds of board meetings today. Guru: The amount of time they spend in planning and things like that, even if they spend 25% of the time in just thinking where are we going wrong and correct it, life is going to be much easier. Somehow, even though in the corporate world, strategically planning is very, very vital. Even in human life– from tomorrow, I’m going to start exercising, from day after tomorrow, I’m going to study. Now the energies which are getting wasted in thinking, thinking, and it makes me feel like a failure after some time. I planned so much and then I failed. And all through my life as I recollect, as you asked me this question, I didn’t think about this before. As you asked me this question only, I recollect. I never planned. Just go and do it. Like–Just Do it. It’s so much more easier to do it than plan, fail, think, conceptualize, and again going into a retrospective mode, it’s a mess. Keep life very simple. I know smoking is bad. I got this opportunity from Abdul. Thank you, dear. Drop it. Keep going ahead. Let’s move. That’s past. Nitesh Batra: But self-reflection is still an important part of whatever you do because that helps you move forward. Maybe not planning so much, but thinking about how you could have done things better, what are your thoughts about that? Guru: Absolutely. My teacher, Mahatria always keeps telling. Whenever there is a failure…. Nitesh Batra: And Mahatria is your spiritual teacher? Guru: Oh yes. Mahatria is my spiritual teacher. I found him. I don’t know how I found him. I’ll come to that. That’s an interesting story. But I found him. I was lucky to find him. And when we look at the situation of looking at how do we actually plan every aspect of it, and what is it we learn, he told me one nice thing. Whenever there is a failure, dissect it. See everything, understand everything. Whenever there is a success and don’t introspect too much. Don’t retrospect, too much. Start from square zero. That is a past. It is over. And that’s helped me. And it has helped me to quite a large extent because when we analyze failure, we are not emotional. We are very, very pragmatic and we are very clear– what I have to do. And another nice thing he taught me is, whenever there is a negative, talk in one sentence. When there is positive talk in 5 sentences. So failure also, even today when we sit for our governing council meeting or our partners’ meeting–any of the failures, we tell, “We all know it has failed. All of us have spent enough time in our mind telling them why it failed. Again, sitting and breaking it out doesn’t help. Okay, we failed. These are the three points we failed. Forget about it. Go to the next.” So, it has to be only a stepping stone. It cannot be just a proverb that failure is a successful step …. It cannot be that. We have to leave it and move ahead. And fortunately, I have met many failures. Many, many failures. But nothing happens. It doesn’t matter. Nitesh Batra: And what is that one failure that comes to your mind that you can think of that really helped you propel forward or understand yourself better? Guru: Childhood could be a big thing. Childhood could be a big failure. Was an exceptionally bad student, frustrating student to every teacher, possibly. And every parent, possibly. And the other part of childhood was we saw everything bad. We saw not so comfortable life. We saw a bad family, we saw regulatory issues, we saw CBI raids. We saw police issues. So possibly, so many failures at a very young age, made us pretty strong. In fact, I was telling somebody that when I encountered all this, when I was 22-23. What a human being can encounter when he is 80 years, possibly I saw this in seven years. I was lucky enough to see it in seven years because I had not even started my life. And I saw everything before I started my life from love breaks, to deaths, to births and health issues, CBI raids, lawyer raids, losing home, sitting in police stations–name it! I can go till the cows come home. But that helped. Nitesh Batra: In many ways, I’m sure. And it made you stronger as an individual. Now when you have– one son? How are you different as a father, as compared to your upbringing as a child? Do you see any differences, the kind of upbringing that you are providing to your son? Guru: Yes, quite a lot. I still feel how my father brought me up is right. I don’t think how I’m bringing up my son is right. We’re preaching too much. My father just left me in the road. The experiences will teach this fellow. In fact, I remember when I was in sixth standard, he called me and introduced me to somebody and he’s asking me, “Which, class you are studying?” And see, am sitting down and teaching my son today. So, I think parenthood has undergone a huge amount of change. I still so vividly remember–my dad used to tell (about me),”This fellow is 100% a clerk in a bank. He is not going to do anything in life. I have to take care of him”. My elder brother- “Oh, he’s a super guy. He’s going to do very well in life.” But he brought out the best out of us. Guru: I think we very, very protective. Even though I try to tell myself, “Stay away, he’s going to be perfectly okay. Why are you so bothered about him?” But when it comes to exams, my entire philosophy fails. I go back to the books. And he does commerce. So, I sit with him and keep teaching him commerce and telling, “No you have to do this, you have to do that.” Everybody will do something of their own. We should not be overtly worried and most cases I leave him. Except during exam times. Otherwise I just don’t bother. Just go ahead and live your life. But unfortunately, my wife doesn’t think the same way. And I do the same with every trainee who comes to our office. We have close to 80 trainees and the course of Chartered Accountancy is something which teaches failures, if not anything. I’ve seen people fail 10, 20 times. Nitesh Batra: What are these trainees? Guru: These are called article trainees. They’re supposed to train in a Chartered Accountancy office for a period of 3-3.5 years at minimal stipend, learn the subject and then write the exams. So, it’s unlike any other course where you do the course, pass and then go to internship. Here, internship starts before you write the exams. And, it is pretty tough. A 19-year old kid goes and does a multinational company audit. A 20-year old kid goes to a mine and starts looking at something. And they fail the exams. You’re supposed to read 15 hours a day while you can’t even read 2 hours. Obviously, you will fail. So even those kids, normally the best of the kids come to Chartered Accountancy and the better of the best come to our office and in the better of the best only a few pass. Guru: So they do encounter tough situations. No sleep, no time, no family life, no work life balance. Study and tax keep changing every day. Laws keep changing every day, but I see just in a period of three years, a young kid of 18 becomes a 21-year-old professional. The transformation is some of the most amazing moments when you see that. They walk in, they don’t know how to answer an interview call and in exactly three years they are sitting in a board meeting and presenting a business plan. And they do it on their own. There’s no teacher, there is no curriculum, there is no course. Everybody does it on their own. Nitesh Batra: I think you simplifying it. When everyone does it on their own because a huge part of growth, and this is what my belief is- a huge part of any growth of an individual or a group or a company, is the kind of environment that’s provided for them to grow and succeed as an individual. And with that, the opportunities come in to find what you would like to do and become better. And what fascinated me about Guru and Jana is the kind of structure the company has, the kind of environment, the kind of things. One thing that I really remember is that there’s no locking system. I’m sure it’s not in all the offices but a couple of offices and how their intercoms are not used. Can you tell a little bit more about– well, let’s start with Guru and Jana. How did that come up in your life? Guru: Oh, that is a very interesting thing and I’m so happy you asked this. Because I actually was waiting to tell this. How did this come over. Before Guru and Jana, I did practice for a few years and let us be fair enough and open to comment that Accountancy is not a clean profession. Yeah, there are some divine people. There are some exceptional professionals, there are fabulous human beings, honest human beings. But having said that, there are more black sheep than white. And I was one of the black sheep. I was also one of the black sheep for 7 years or 8 years and did a lot of wrong. Did a lot of wrong and we realized, how come we are working so hard, but we’re never making anything. Point 1 and point 2, how come there is no large Indian Chartered Accountancy firm? How come this multinational firms can become people of 3,000? Guru: I thought, “Mahatria, all this is very good. All is very nice in talking. You come and face the Income Tax office, you will know. You come to the High Court one day and stand there, you’ll know.” He smiled and let me go ahead. But we tried doing that, let us try to set up an organization which will stand out amongst everybody. Let us try to follow this that the shortest line between two points is a straight line. We can reach from point A to point B by being straight. So with that we started Guru and Jana. So, when we started Guru and Jana, the first thing we did is we had a whole lot of individual and trading firms. And that was our livelihood and we were not very big. We were struggling for basics. I didn’t have a home. Maybe I had a Maruti van in 2003. It was not very, very easy. Even though we used to get 80,000 bucks or a lakh of rupees every month or maybe much less sometimes. It was not very, very easy though. We had to push it hard. Guru: At that juncture. We took a call that let’s not do any of this work. We’ll stop. Then the entire world told, “What’s wrong with you guys? What work you are having, you are giving that up? People are struggling to get files.” So we lost 2000 accounts. The partners sat down–5 of us- and took a call. Yeah, we all suffer. But we will suffer the right way. And we all told, if you have to stand up for a value, you have to suffer for the value. We gave up 2,000 files. And we told let’s handle only clean cases. Let us handle startups, let us handle subsidiaries of US companies, let us handle good quality, private limited companies where there is no hanky panky, no adjustment of profits. See, I’m an accountant. I will have to do tax planning. I’m not telling I’ll help client not do tax planning. Guru: I have to do tax planning. That’s my Dharma. But what is the wrong thing is doing wrong and trying to defend. That’s only going to be Karma. That’s not going to take us anywhere. So, we set up a practice on these principles. So, when we set up this practice on these principles, there was nothing to hide. There was nothing to hide, there was no cabin. I need not have files which were hidden. I did not have conference room to talk. So, the clients we started attracting were also good quality clients. They also told, look, I also want to associate with somebody like this. I don’t want to go to a firm, which teaches me how to fudge taxes. Let me go to a firm which will make me clean. Let me go to a firm which will make me plan taxes properly. Guru: Let me go to firm who tells, sign the minutes today, don’t do back dating. So, there were a whole group of audience like that. We had a target (audience). And somehow it conspired that the target came to us. There were not many people whom they could go to. So somehow, this target (audience) came to us. That’s how we started growing. Then, when it was an office with these principles, you don’t need a cabin. When you don’t need a cabin, everything can be open. So, we built an open office. And then we told when it is an open office, why do we need intercoms at all? Let us just break the policy, let us cut it out. Let people walk around. Let people go walk around, talk to people, let them engage with themselves. So, the entire culture started emanating from very small concept of “let us be clean”. So even physically, when you have an open office, it’s very clean. Guru: It is not a sort of a thing where there is clutter, there is paper, there are files. We are a paperless office. We don’t have a single paper in the entire office. So, the cleaner it is– when your desk is very clean, your mind is very clean, your mind is very clean, you do clean work. Your desk is cluttered, you are in trouble. You can’t even find a single paper. How will you find solutions for a client? And if your desktop is cluttered, again, you are in trouble. So, we started inculcating this very, very tiny values. Nothing major, nothing earthshaking. Simple things. Keep your desk clean, have a smile, be calm, don’t do wrong. This, I’ve been told since the mountains were born. There’s nothing new. But adaptation was new. Nitesh Batra: That’s what makes the firm very unique in many ways. And when I was reading about you, the book that you have written, there was a quote in the introduction, which I would like to read: “When companies grow, so do their ambitions. With that comes hard edge. The casualty is humility. It takes high moral fiber to temper ambition with humility without which, philosophical thought is nothing but posture.” And it is so true for most of these startups which are small, which are trying to be humble in ways that they can grow. But as soon as that scale comes in, not just the humility but the other aspects that the individuals touch starts to go away as well. And how is that something that you guys have maintained, especially with so many new people coming every 3 years? Guru: That’s a good one to ask and if the head of the organization is a little humble, the entire organization will be humble. You don’t have to do too many things to do that. But fortunately, what has helped me is the type of people I meet. For example, today morning I got the opportunity to go and meet Mr. Radhakrishnan who was an ex-alumnus of IIM-Bangalore, who is the Chairman of the Space Research and who was the person who sent Mangalyaan to Mars. Luminary, Unbelievable luminary. And just when we go and meet somebody like this and when I wrote my book, “The God in the Boardroom” also, I did meet some amazing human beings. One meeting with somebody like that is like meeting Abdul 10 times. So, luck has been that I keep meeting Abduls. They bring you down whenever you want to go up. So fortunately, I’ve been meeting people so often, it doesn’t even give me time to think, “Okay, I have arrived.” Not that I have arrived. I have not done anything much. There is a long, long journey to go. But if the core team is quite humble, everybody tends to be humble. I’ve seen this in my clients. When you talk about startups, startups are very, very nice people, extraordinary. We do a lot of work for startups. A lot of my bread comes from there. But there is such a cycle in their lives. When they start up, they’re very nice. They get series A fund. Their mind changes. Series B fund. They’ve already become an Ambani and then it becomes a downturn, and everything goes down for the startup. Then they again become the nice guy. So how is money related? That too, not your money. It is somebody else’s money. You have actually taken a loan which is bigger than loan to repay back to them. Guru: The amount of ego which comes in is extremely big. Of course, I’ve seen some startups who are unbelievably nice, exceptionally good human beings, very nice guys. But often, I meet people (who say), “I have raised money.” It has become a qualification today. But people who are so big are so polite. When I wrote my book, I went and met Deepak Parekh –an amazing human being- Chairman of HDFC. Do I have time for recollecting one instance? Guru: I had met, Vagul, who was the Chairman of ICICI. After the book, I wanted to give the book to him. I kept calling his secretary. She never gave time. I called her 3, 4, 5 times. She didn’t give time. Then one day, I thought, no point in wasting my time. I’ll just go drop the book in his cabin and come. So, I went. As I was entering, he was coming in his Mercedes Benz and he saw me with the book. And a person of Vagul’s stature, he got down. And immediately went to him and said, “Sir, I wanted to give this book to you, but I could not give it to you because you are very busy.” He was in a series of board meetings. He saw the book and immediately said, “Guru, you are the author of this book. I can’t take this from you, next to my car.” He went inside, almost organized a small event for myself. All, in 3-4 minutes. Extreme level of adulation for that book, spoke about the book, went back and sat in the car. That is something to imbibe. I experienced the same thing with every leader met. I get to meet some exceptional leaders. So, the taller they become, they become humbler. Maybe only the smaller ones are not the ones who are humble. I’ve got some of my friends in the multinational companies, chartered accountants who are global partners. Exceptionally simple human beings. It is a problem with the audit managers and the captains who create all the problems. Nitesh Batra: Another thing that has come to my mind when you were narrating that story was, how our behavior is and how our mindset is. We have a certain behavior that we follow in this country, especially when you’re going out driving on the roads, which is not easy. And kudos to those drivers who drive all day. And if you have to commute for x number of hours every day and then you have to deal with some other small issues and in one of the stories you talk about that as well. Because if you are dealing with so many things, how will you get the work done Now, when they come to work, there has to be a certain mind shift that needs to happen because that behavior will continue for a period of time. How are people able to do that? What are some of the some of the key characteristics that you provide or key things that you provide to these people who are coming into the organization to change that mindset just right away as soon as they enter? Guru: That’s actually a beautiful thing which happens. We are in South End Circle, which is a high traffic zone in Bangalore. And we get a lot of people from outside Bangalore– from Nepal, from Andhra Pradesh. I can visualize what you’re telling. When they enter the office, their face is different. In 3 minutes, their face changes. I can visualize exactly what you’re telling. That happens due to a few things. One, at mind level, one at a visual level. At the mind level, when they enter the place, it is something that, “I’m coming to my place”. You have to create that sense of “my-ness” in the organization. Otherwise, it’s never “my organization”. The moment anybody tells, “they did this for us, our HR did this.” Instead of that, if we want the mind to tell, “we did this”, everything changes. Small things like, I could organize a festival, by getting an even management team. Guru: That’s not a big deal. Pay 5 lakh of rupees to an even management team, they’ll make it spotlessly nice. We did that once. We had a 5-star hotel. We had a huge meeting and exceptional presentations, and everybody were in suits, boots and Tuck, Tuck, Tuck, tuck. Finally, at the end of the day, everybody felt tired. And they didn’t have any takeaways. And I thought, we spent so much money, nothing happened. I realized, another incident happened. We told the team, let us conduct something like this. The team worked. They did the potluck lunch. Everybody carried their own lunch. Some was awful food, some was fantastic food. Mikes didn’t work. Presentations didn’t come on the slides. Music was not on. Timing went for a toss. Everything was a mess. But the event went on so well, the message was conveyed. People had takeaways and before that, we had a huge dance. Guru: Everybody went rejoicing. Because, the thing is, an event management (company) is doing. Somebody else is doing. You’re not involved. There is no sense of belonging. But here, the team itself is doing. It goes back to our Hindu culture where we used to have weddings. We sit and do everything. But today, wedding done by an event management company is never the same. How much ever nice it is. We sit and do everything. So, we bring that sense of belonging in everything. We used to have something called as, I don’t know whether it is a last Friday or last Saturday: Clean your office. 20 minutes–everybody put off their machines. If we put on nice music, everybody cleaned the office. After that, we never felt that office has to be kept clean because when you have only done the cleaning, you don’t do it. So, these are the tiny things which has to happen in the mind frame. But from the visual frame, as soon as they enter the office, they see their pictures. We have a photo wall. We have close to around 200 photos on the wall. I personally see my photo every day. I’ve been seeing that from past five years and I still feel like seeing. And in the photo wall, what we have done is, we have put on smiling faces. There must be around 500 faces there–everybody’s smiling. When the walk up to the photo wall, they get that. And very unlike any other firm in the country. We have an anthem. It’s called the Gurujana anthem. And we take a pledge of being honest, and every day we do that. And the anthem, originally, we designed it in a little of a serious tone. Then somebody came up and told, this is not the way we start the day. So, we put like a Bollywood number. With a guitar with dumbh, dumbh, dumbh–stuff like that. So it’s a nice Bollywood song every day we start with. So how much ever a person comes with a bad mood, with the traffic, with problems at his house, the moment is entering an office, he sees white. And white transfers to color very soon. It becomes a very colorful. So, when you come to the office, you will observe that from morning to night, people don’t get tired. I have not seen anybody-we are 350 people now- Nobody tells, “I am tired”. Nobody. Nitesh Batra: So we have a few minutes left and, and I would like to talk about the story which probably keeps happening in your office quite a lot and I have a very generic question after that as well. And it is about someone in your organization who was promoted to a senior level position, who used to work as someone cleaning and there are many examples like that at your office. This is the one that I got to know of. Now, within India, we face this huge issue that people from a certain level of strata cannot move up. They are stuck because of the education that they get or some other, some other thing. So, from your experience, can you give some thoughts around what should people be doing to promote that kind of a culture within their families, within their organizations, within their community? So, we give equal opportunity. It doesn’t matter what background one comes from, what education one has. If someone has the potential and if someone has a belief in themselves, how can they grow in who they are as an individual? Maybe in an organization, maybe in sporting arena or anywhere they would like to? Guru: See, I think it’s only being fair. As long as you are fair-in fact, when you are asking this question, I could recollect at least 10-20 people who are like this, not one. There was one girl who was in a sari shop. We met her, and we got her as a typist. And then she went onto become a Chartered Accountant and a partner in a very reputed firm. Like that, we have tens and tens of stories. Even when the guy who was cleaning our office was a cleaner, who used to get coffee for us and things like that, and when I started Guru and Jana, we were 5 people. He was one among us. So, the first time five of us sat down and discussed what should be our aims in life, he was a part of the meeting. Guru: The more you involve everybody, the more they work. And there are some amazing jumps. We only actually hide it. But the entire focus is on success. But what people forget is, we have to be there when there is failure. So many of us will take success of one boy and as long as he’s successful, I’m behind him. But as an organization, if you have a policy that, look, I will stand by your failure, then only people can come up. So, and we’re an Accounting firm. We do Corporate Law, we do hundred things. Unless we accept failure and when there is failure, I have to stand up. When there is success, he has to stand up. It only depends on who’s standing and if there is a failure and if anybody tells, “You did this”, we’re in trouble. That’s not an organization. Nitesh Batra: Thank you so much on enriching us on how to do it and thank you for the examples that you gave us. I think you yourself are a great role model for many other organizations and thank you so much for coming today. It’s been such a nice time speaking to you, getting to know about your life, your work and we hope that someday in the future, we will get to talk more. Would you like to say something before we close? Guru: Thank you very much. I also enjoyed it. But most of our organization, my life, everything is based on extreme levels of simplicity in teaching. I follow my teacher by name Mahatria – His Bhagavad Gita is one line, his Quran is half a line and to follow it is so simple. And I owe everything to some teacher like that –who could possibly come in everybody’s life. Thank you. Nitesh Batra: Thank you. That’s a great way to end. Thank you so much. Thank you so much everyone for tuning in to our Mindful Initiative podcast. I’m your host Nitesh. If you like us, please rate us on Podcast, on iTunes or Google podcast. Thank you so much. This entry was posted in Blog, Meditation, Podcast. Bookmark the permalink. An article student comes to our firm to learn…but ends up in an enviable career. Happy to know more…it is revealing and insightful…what more to ask for than to hear first hand from the creator himself. The best half hour anyone can spend time on. Watch it carefully and try adopting as much possible..
It’s a delightful podcast with Guru. Have been working in Guru and Jana from last 1.5 years…I am so gladful and will cherish each and every moment in my life to work under the guidance of Guru and Guru and Jana members. It’s a delightful podcast with Guru.Have been working in Guru and Jana from last 1.5 years, I am so gladful and will cherish each and every moment in my life to work under the guidance of Guru and Guru and Jana members. He is a amazing human being. Hats off to Guru..!! I never ever seen and will not see also such a mindful leader..Hats off to you..
Its a pleasure to listen to Guru. He always has something to share, something that will help us, be it in the professional sphere or in our personal lives. Hoping many others get to listen to this podcast!